Jacqueline, anonymous painting from the 16th C.
In the early fifteenth century, Jacqueline (Dutch: Jacoba) was the heiress of an immense territory in what is now called the Low Countries. In her own right she was Countess of Holland, Countess of Zeeland, and Countess of Hainaut. For a short time she was Dauphine of France and Duchess of Gloucester. Like any woman of means in that era, she was forced to fight to keep her patrimony. Jacqueline fought with everything she had, marrying four times and raising armies in resistance. She was feisty, persistent, energetic and gutsy. Jacqueline was born on August 16, 1401 in the Castle of Le Quesnoy in Hainaut, the only child of William II Duke of Bavaria-Straubing and Margaret, daughter of Philip the Bold, Duke of Burgundy. Jacqueline’s parents did everything in their power to ensure that she would succeed to all of her father’s properties. When she was twenty-two months old and again when she was five, she was betrothed to John, Duke of Touraine, fourth son of King Charles VI of France and Queen Isabeau of Bavaria. There was a magnificent ceremony in Compiègne and John left France to go live with his new wife in Hainault. This was a highly unusual arrangement but since Jacqueline’s inheritance was vast and important, her parents wanted John to learn and become familiar with these areas so he could rule them better in the future. It also guaranteed John’s safety away from the turbulent French court in Paris where civil war was raging. In April 1411, the Pope gave his dispensation for the marriage and the couple were wed in The Hague on August 6, 1415. 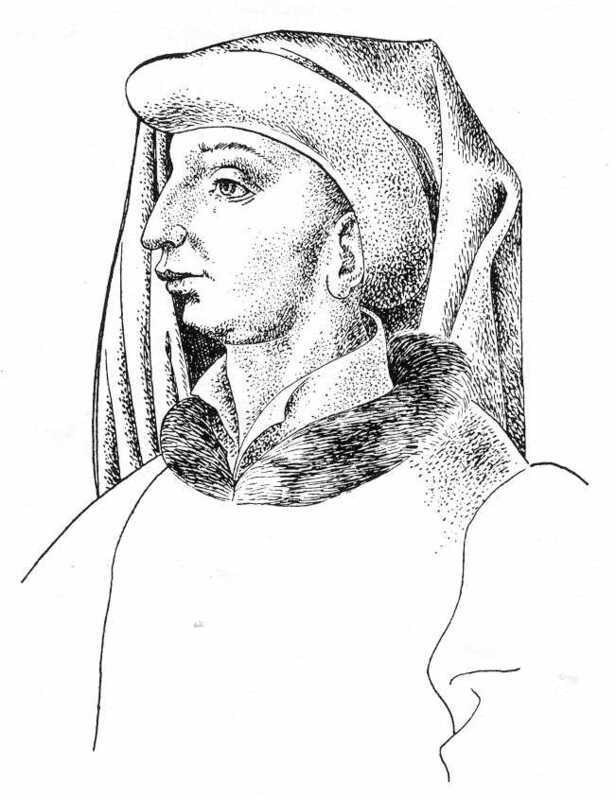 John’s brother Louis of Guyenne, Dauphin of France died unexpectedly on December 15, 1415. With his death John became Dauphin. Duke William didn’t allow John to return to France immediately. He was worried John would fall under the influence of the Armagnac’s or the Burgundians who were at war at the time. This made the Dauphin look weak and lacking initiative to seize control of the political situation, leading to a plot for an uprising in Paris. Jacqueline and her mother were sent to Queen Isabeau to negotiate the return of John. Finally, in January of 1417 John returned to France but then he suddenly died on April 4, either of an abscess in the head or of poisoning. Jacqueline was a widow at the age of sixteen. Her father died on May 31, 1417 and she inherited her patrimony. Jacqueline was acknowledged as the sovereign in Holland, Zeeland and Hainaut. But her father’s brother John, who was Bishop of Liège and now the Duke of Bavaria-Straubing claimed Holland and Zeeland were his by inheritance. He was backed by the German emperor Sigismund in his claims. With her position becoming increasingly weak, Jacqueline sought a new husband. Her uncle John the Fearless, Duke of Burgundy arranged for her to marry her first cousin John IV, Duke of Brabant. The marriage needed papal dispensation which was opposed by Sigismund. But Pope Martin V finally confirmed his permission and the marriage was celebrated on March 8, 1418. Civil war commenced between her uncle John of Bavaria and her husband. The marriage was to prove unsatisfactory in the effort to stabilize Jacqueline’s position. The showdown between her uncle and Jacqueline and her supporters occurred in the summer of 1418 with the Siege of Dordrecht, a city that supported her uncle. The siege was unsuccessful and Jacqueline’s husband was forced to parley the truce of Woudrichem in February of 1419. John of Bavaria was named Regent of Holland and Jacqueline’s husband mortgaged Holland and Zeeland to him for twelve years to raise funds. Jacqueline refused to accept these terms. In addition to wasting her inheritance, her husband began to interfere in the management of her household. He dismissed all of her servants who had tended to her since childhood. The couple were incompatible and he grossly mistreated her. Jacqueline managed to flee from Brussels to her mother’s court in Hainaut and began pursuing external assistance for her cause. Jacqueline and her allies decided to seek an annulment of her marriage. She claimed the marriage was invalid because they were too closely related and formally repudiated the union in February of 1421. John never accepted the annulment of his marriage. During this time, King Henry V of England sent envoys to Jacqueline seeking to gain her trust and make her an ally. 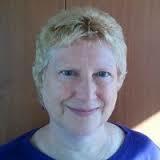 Jacqueline asked for and obtained a safe conduct and secretly traveled to Westminster. Henry gave her a monthly income of £100 and asked her to be godmother to his newborn son, the future Henry VI. Soon after she arrived in England, the Spanish antipope Benedict XIII annulled her marriage to John of Brabant but this was only recognized in England. King Henry V died in August of 1422 leaving his infant son king. Henry’s will appointed his brother Humphrey Duke of Gloucester as regent for the boy. But he faced opposition from the King’s council and was denied the position he felt he deserved. Gloucester decided to put his career in England on hold and to help Jacqueline. They were married some time before January of 1423. In October Jacqueline became a citizen of England and the couple spent Christmas together at St. Albans. Preparations then began for an expedition to recover Holland and Zeeland from Jacqueline’s uncle John and Hainaut from her estranged husband John IV. 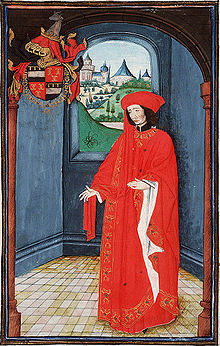 The two men on the continent counted on the support of Philip the Good, Duke of Burgundy who was looking to incorporate Jacqueline’s patrimony into a broader Low Countries state. He was actively working to reduce the interests of England in the territories. In October 1424, Gloucester and Jacqueline crossed the channel to Calais with five thousand soldiers. By mid-December, they had conquered much of Hainaut and set up a government in Mons. 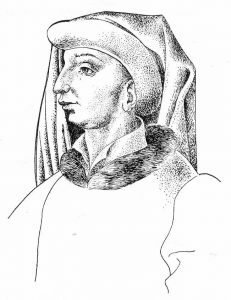 Philip of Burgundy then came to the aid of John of Brabant and by March 1425, he advanced far into Hainaut with his troops. After a heated correspondence between Philip and Humphrey, the quarrel became personal. Neither the King of England nor the King of France would enter the fray. Philip challenged Humphrey to a duel of single combat and Humphrey accepted. The date was set for April 23, 1425. By this time, Gloucester’s enthusiasm for Jacqueline’s cause had waned. He had met and taken as his lover one of Jacqueline’s ladies-in-waiting, Eleanor Cobham. On the grounds of preparing for the combat with Philip, Gloucester returned to England leaving Jacqueline in Mons. The King’s Council in England forbade Gloucester from fighting. Jacqueline could no longer resist Philip’s advance on her counties and was forced to surrender. She was captured and imprisoned in the palace of Posteerne in Ghent in genteel custody. 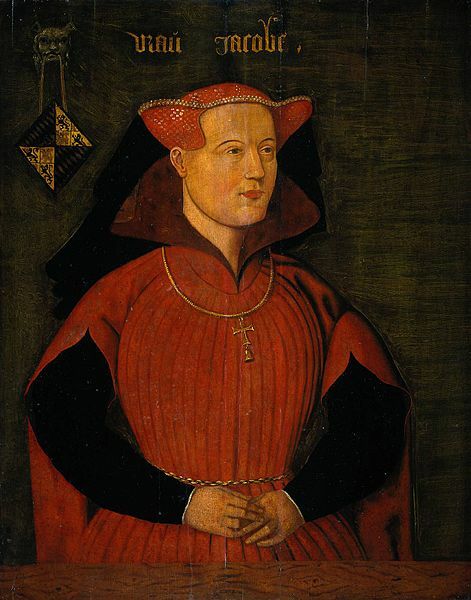 Philip had already occupied Holland and Zeeland as the heir of Jacqueline’s uncle John who died in January of 1425. Philip asked the Pope to issue a ruling on the validity of Jacqueline’s marriages. As she awaited word, some of her supporters decided to liberate her. A couple of local lords managed to meet with her to plan her escape and brought her men’s clothing. She requested privacy to take a bath, changed her clothes and managed to steal away being well disguised. The two lords met her with horses and they got away, eventually making their way to Gouda where she stayed with supporters. She fought the Duke of Burgundy and renewed the Dutch civil war. She repeatedly requested help from England. The King’s Council didn’t want to offend Philip of Burgundy. Jacqueline won a small battle at Gouwsesluis and later, in October won at Alphen. 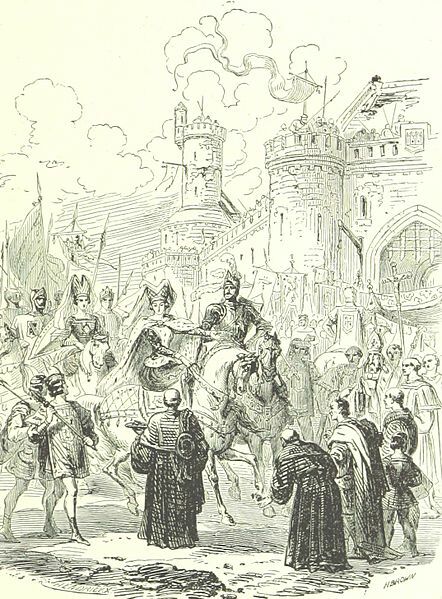 Philip then began to lead his troops personally. Gloucester sent a force of fifteen hundred soldiers to reinforce Jacqueline. 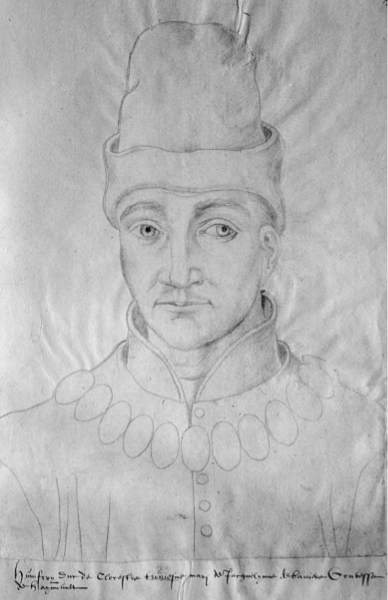 Philip intercepted the English troops at sea and caught three hundred soldiers. The rest of the force met the Burgundians at Brouwershaven and Jacqueline was soundly defeated on January 13, 1426. Jacqueline fought on mostly in skirmishes. 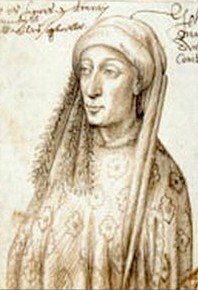 When her second husband John IV of Brabant died in April of 1427, her influence was weakened. She maintained an effective position in Holland until Pope Martin V ruled that her marriage to John of Brabant was her only valid marriage. Gloucester was now married to Eleanor Cobham and was no longer willing or able to support her, forcing her to sue for peace. On July 3, 1428, the terms of the Treaty of Delft were ratified. 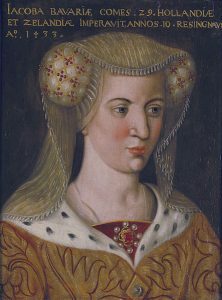 Jacqueline was able to keep her titles of Countess of Holland, Zeeland and Hainaut but the administration of her territories was turned over to a jointly appointed regency council and Philip of Burgundy was named her heir if she had no children. She was not allowed to marry without the permission of Philip, her mother and the three counties. Jacqueline’s financial situation became serious. She didn’t have enough income to run her household. In addition, Philip bought off the loyalty of her adherents or estranged them from her in other ways. It is at this point in her life where there is a discrepancy as to what happened. One story is that Jacqueline married for love. It was a secret marriage in the summer of 1432 to Francis, Lord of Borssele (Frank van Borssele), a powerful local nobleman in Zeeland. This marriage was against the terms of the Treaty of Delft. When the marriage was discovered, Francis was imprisoned. The situation was not totally resolved until April of 1433. Jacqueline was forced to abdicate all rights to her territories to have her marriage confirmed. She was given income and allowed to live in certain properties. The other story says there is no evidence of a secret marriage and Jacqueline relinquished her titles to Philip in April of 1433 in return for income and living quarters, mostly in Zeeland. While there she became acquainted with Francis. There were rumors she was to be married beginning in November 1433 and the wedding was celebrated in public in the spring of 1434 with Philip of Burgundy granting Francis the title of Count of Oostervant. Whatever the true story is, Jacqueline and Francis lived comfortably in her castle of Teylingen. However, the marriage was short lived. Jacqueline became ill in 1436, probably of consumption and died on October 8. 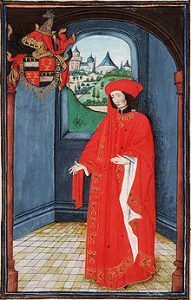 Philip of Burgundy inherited her counties of Hainaut and Holland. Francis survived for another thirty-four years. In her will she requested burial in the church of St. Maartensdijk in Zeeland. However, her mother overrode her wishes and had her buried with her ancestors in the court chapel at The Hague. Her funeral was attended by many people. During renovations of the chapel in 1770, tombs were found in the partially collapsed cellar. One of these tombs was Jacqueline’s and Albert Frese made a drawing of what was found.